The apostles considered that the ministry of Jesus was launched after the Holy Spirit came upon Him at His baptism (Acts 10:37-38). All three persons of the Trinity were present after Jesus was baptized. Jesus, God the Son, had just come out of water from His baptism. God the Holy Spirit descended on Him in bodily form, and God the Father announced Him from heaven. The words from God the Father fulfil Psalm 2 (see Psalm 2:7). Psalm 2 is about the Messiah’s reign over the earth. In this way, God was announcing that Jesus was the Messiah and that He would reign over the entire earth. The rule over the entire earth is still yet to come. Matthew and Mark both say that He (Jesus) saw the heavens open and the Spirit descend on Him. The scripture does not say if this scene was visible to the entire crowd of John’s followers, or if it was only seen by a smaller group. John 1:32-33 seems to indicate that this scene was also visible to John the Baptist. In John 1, John the Baptist was relating to the crowd the scene of the Holy Spirit descending upon Jesus. We could therefore infer that the Holy Spirit was therefore not visible to the entire crowd (or else John would not have needed to explain the scene). Matthew, Mark, and Luke say that the Spirit descended in bodily form, like a dove. This does not necessarily mean that the Holy Spirit took the form of a dove, but it may also mean that the Spirit was visible, and that his descent was like that of a dove landing. John and Jesus planned this event together in order to gain a bigger following. 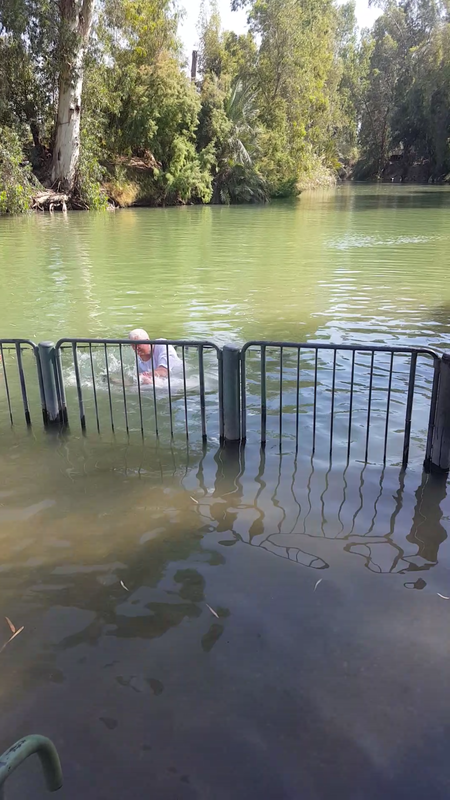 Some take this baptism as evidence that Jesus had sinned and needed to repent. Some saw the baptism as a way for Jesus to impart more grace to those who follow Him.